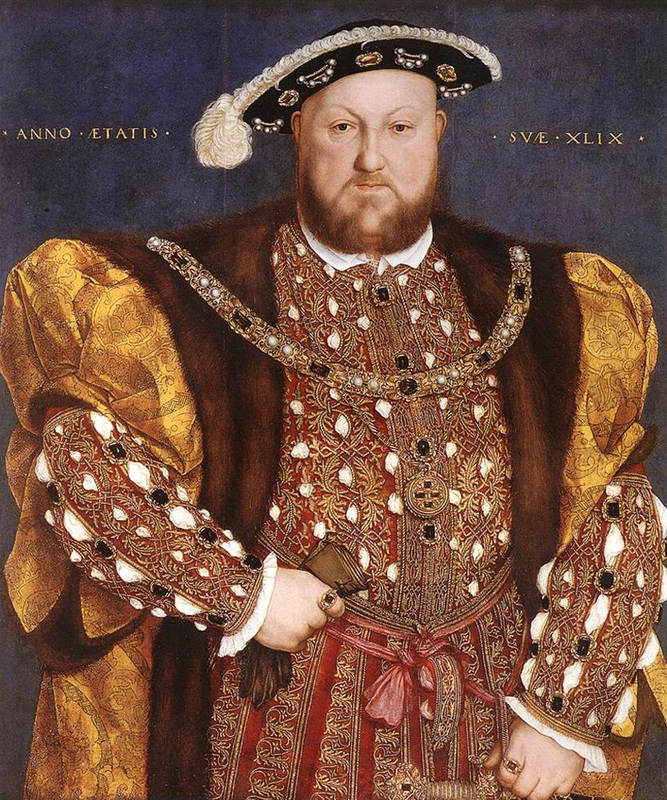 Good ol' King Henry VIII was a greedy monarch. 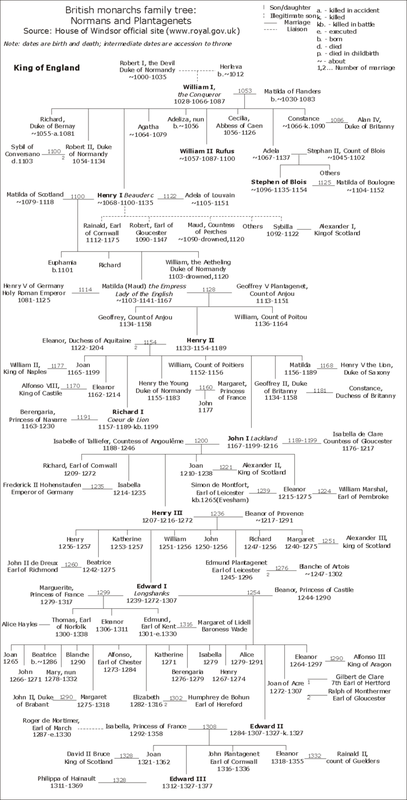 His desire to have a son – and the Catholic Church's refusal to grant him a divorce – resulted in his reorganization of the English Church (also called the Anglican Church). Of course, in the process of getting what he wanted (a divorce and, three wives later, a son), he delivered the Protestant Reformation to England's doorstep... the same revolution that had just overhauled religion in Europe. In the end, one man's greed would alter an entire nation's history. Henry's new Anglican Church developed a Protestant swagger, but it kept many of its old school Catholic tendencies. Still, it did put pressure on Catholics to accept changes to their faith or wind up being phased out. This began a Protestant vs. Catholics rivalry in all facets of English society. Still, contrary to what maybe Henry had hoped, he was mortal... and he died in 1547. 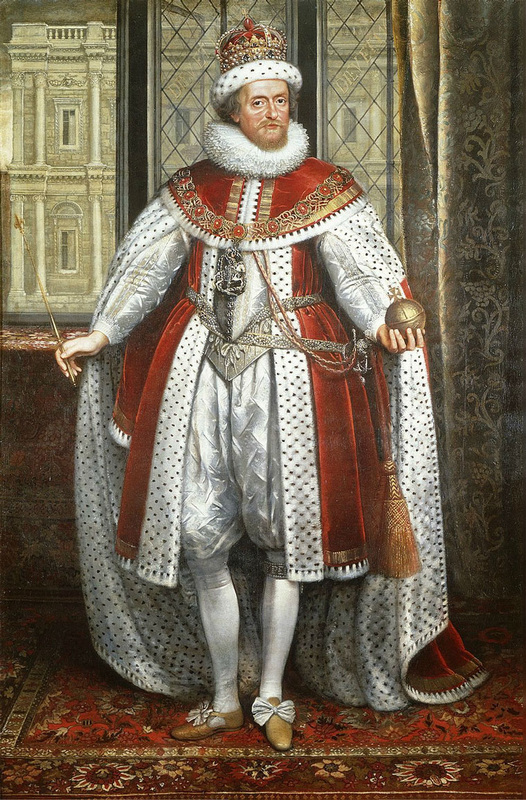 This made his 9-year-old son the new king of England... Edward VI. Edward's mother had been Henry's third wife, Jane Seymour. 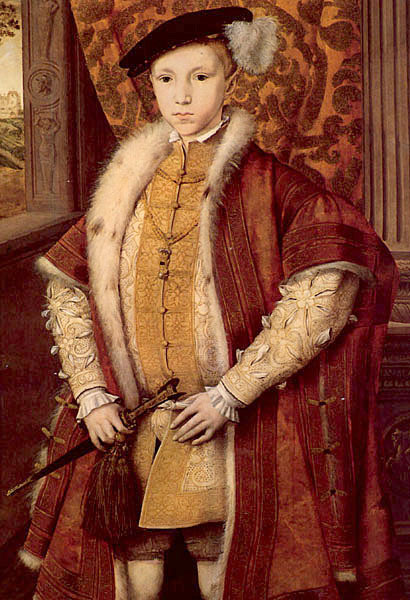 Thus, King Edward VI's uncle Edward Seymour ruled England for the 9-year-old. Seymour favored Protestants... which meant the boy-king also favored Protestants. (Children are soooo easy to manipulate. Despite all of Henry's work to secure a male heir, Edward VI died at age 15 of tuberculosis, arsenic poisoning, or syphilis... and without any children. There was a general concern among those in the higher ranks about having a Catholic as ruler, so before he died, Protestant Edward declared his sisters Mary and Elizabeth "bastards" (he was classy, like his father)... and leapfrogged succession straight to Lady Jane Grey, who was a Protestant and Edward's first cousin once removed. 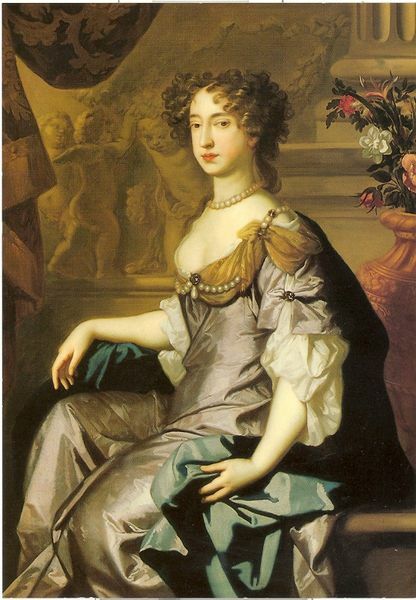 Jane, against her wishes, was declared Queen of England. Of course, Henry's oldest daughter Mary "disagreed" with this decision. Understandably, Mary had "Daddy Issues" – after all, her father essentially invented divorce just to get rid of her mother – and she was next in line on Henry's "worst-case-scenario" succession plan should Edward die before having any children. And whatever Mary wants... Mary gets. Mary wanted to be queen... so Mary marched into London, had Jane arrested after a reign of 9 days, and put her in the Tower of London. 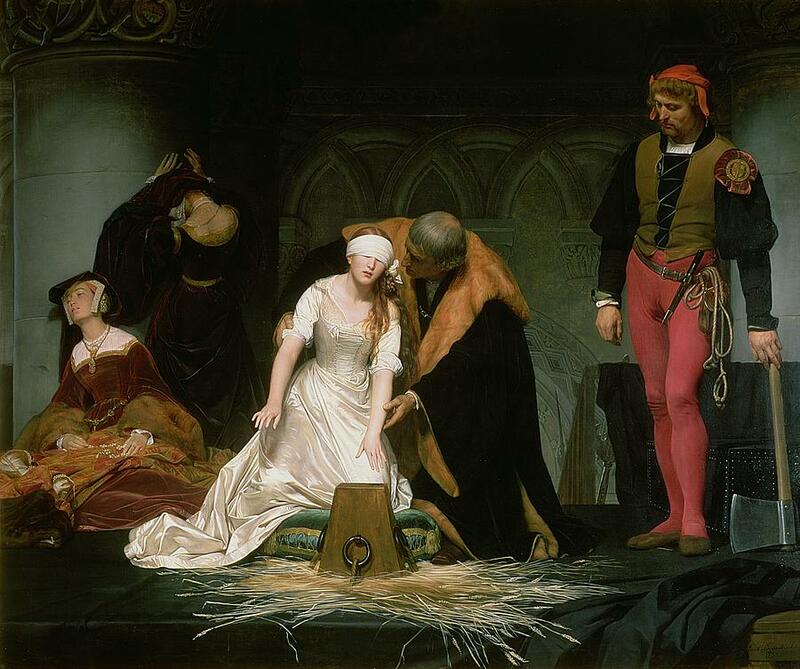 (Lady Jane Grey was beheaded a year later.) 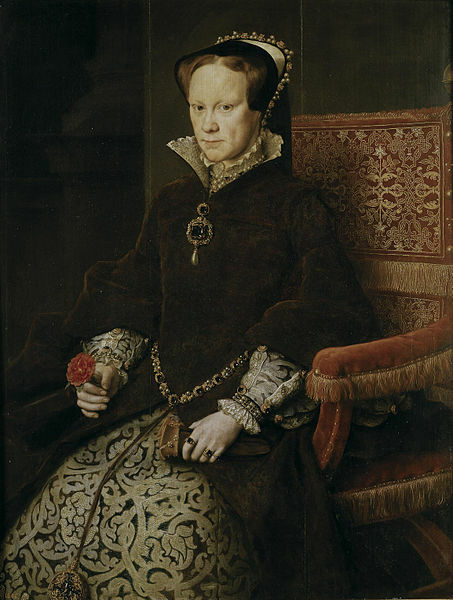 Queen Mary I was now England's monarch (and everybody just shut their mouths). Queen "Bloody" Mary was a Catholic who tried to roll back the tide of religious change by having 300 Protestants executed and chasing others into exile. Married to Spain's King Philip II, she died of ovarian cancer 5 years later in 1558... and without any children. Henry's "worst-case-scenario" was coming true. Of course, in the inconceivable event that both Edward and Mary should die childless... Elizabeth, Henry's second child, would become queen. 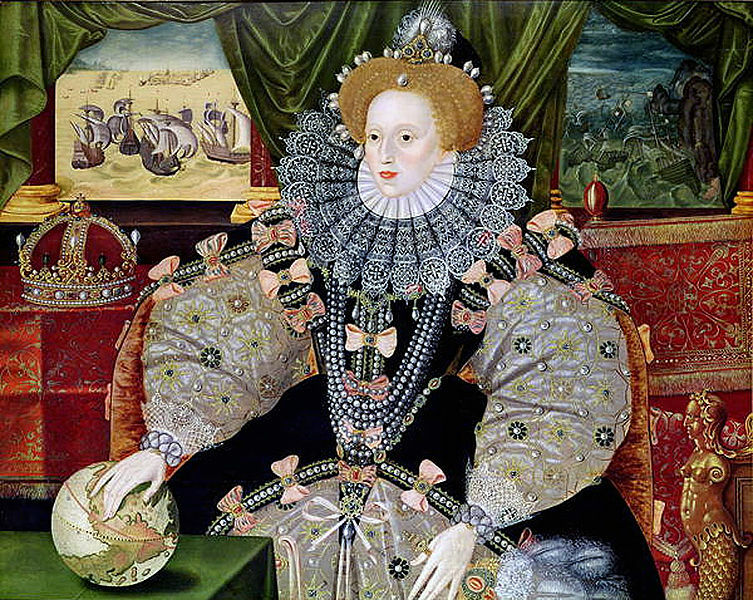 Queen Elizabeth I tried to resolve differences within the Anglican Church and undo some of the damage done by Mary. (Elizabeth did kill a few unruly Catholics, though, for good measure.) During her 45-year reign, she remained unmarried, having turned down Philip II's marriage proposal– yes, the same Philip that had been married to Elizabeth's half-sister Mary. This resulted in Philip throwing a hissy-fit and sending out his vaunted (and Catholic) Armada to crush Protestant England. It didn't work, and Elizabeth's victory only helped to cement her legacy as England's greatest monarch. 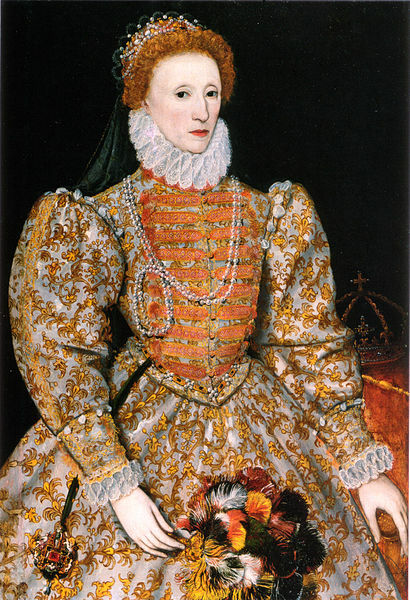 Known as "The Virgin Queen" because she never married nor dabbled in the affairs of the flesh (which was questioned by many), Elizabeth died in 1603... without children. There was now a fairly major issue with succession. According to Henry's "doomsday' plan, Fraces Grey (his niece) would become queen should Edward, Mary, and Elizabeth all die without heirs. The one problem: Fraces died 44 years earlier (in 1559). No problem, right? Henry had a plan for this. 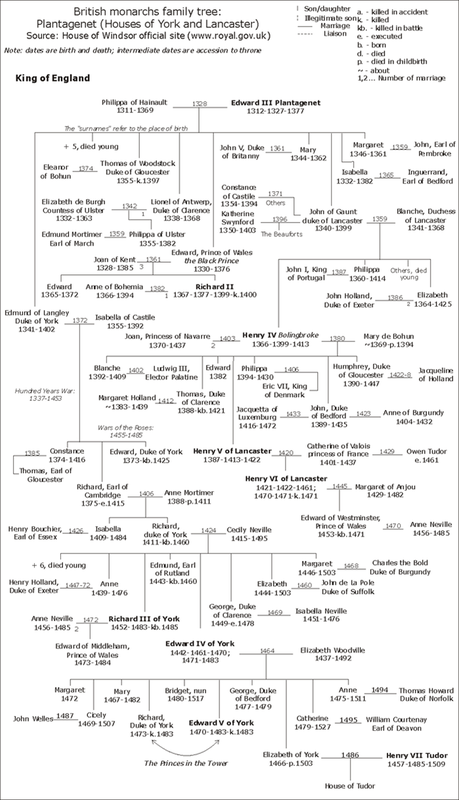 So, should Edward, Mary, Elizabeth, and Fraces Grey all die... next up would be Fraces' daughter, Lady Jane Grey. The one problem: Jane was missing a head – and had been executed by Mary 49 years earlier (in 1554). Now what?! 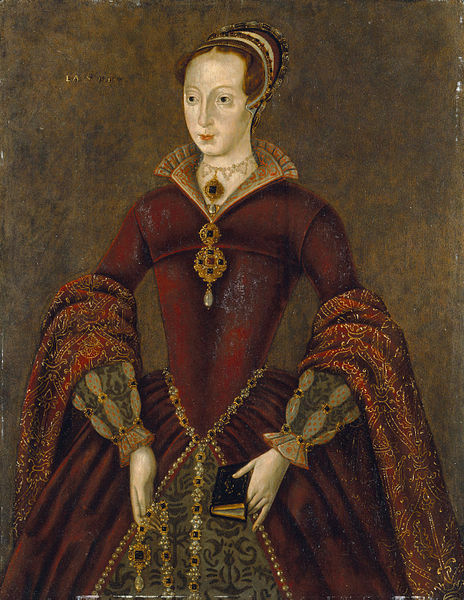 Henry's will said that Elizabethwas to be succeeded by the descendants of his younger sister, Mary Tudor. 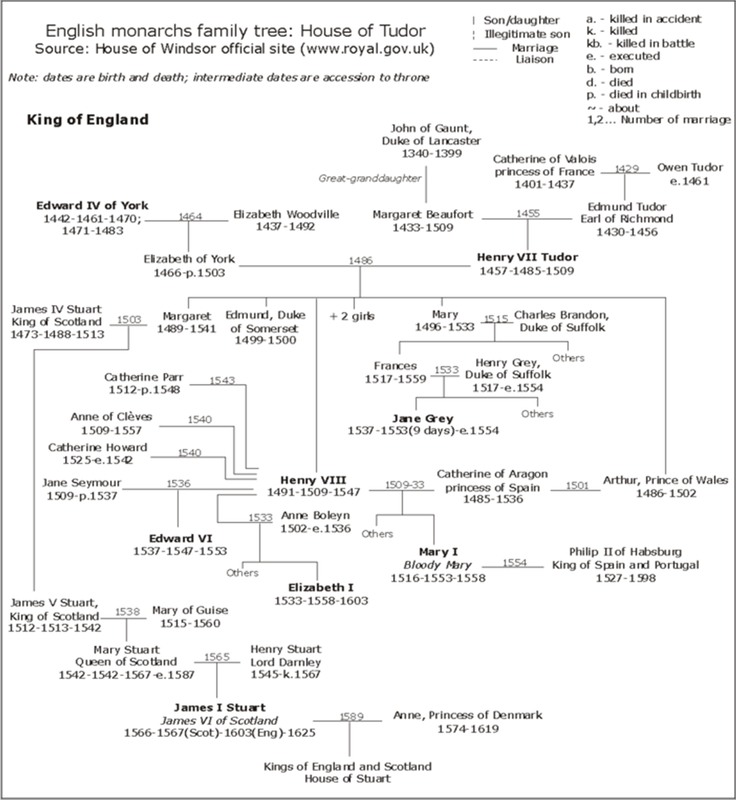 The Scottish descendants of his oldest sister, Margaret Tudor, were NOT to be included. Henry, like most true-blooded Englishmen, hated Scotland (that William Wallace thing really fouled up the whole English-Scottish relationship). 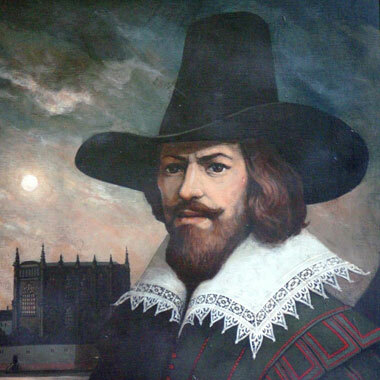 In response to some anti-Catholic laws, a Catholic (who, ironically, was Protestant at birth) named Guy Fawkes opted for the most logical conclusion: to blow up King James and Parliament. 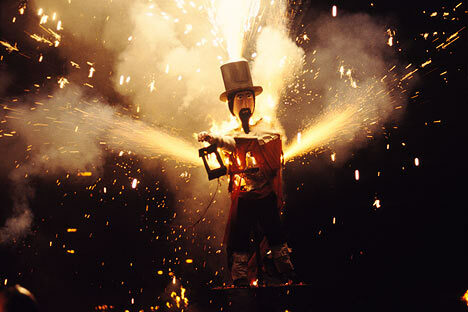 Fawkes' plot was discovered on November 5, 1605... along with 36 barrels of gunpowder in a cellar under Parliament. (One barrel could've made things interesting in England... 36 barrels would've made two Englands.) 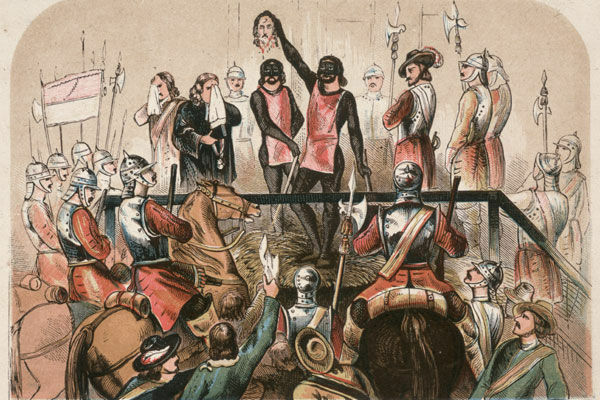 Fawkes and his crew were tortured, hanged in 1606, and then drawn and quartered. 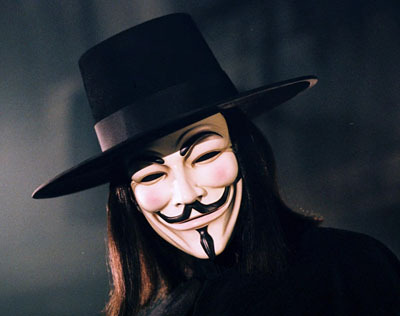 Because of that, Guy Fawkes' Day is celebrated every November 5th in England. Taking the place of Halloween, children celebrated by burning effigies of Guy Fawkes, setting off fireworks, and having lavish parties. Despite this attempt on his life, the first permanent English colony in Virginia was founded in 1607... and aptly named "Jamestown". 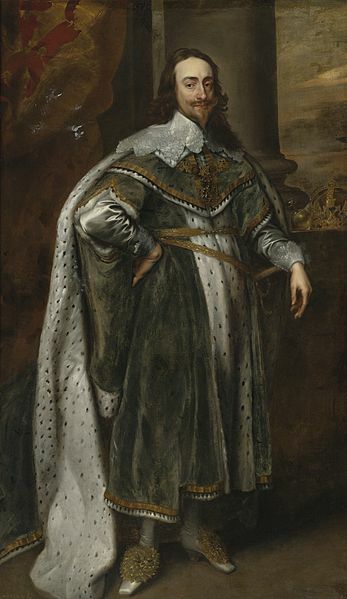 After James died of kidney failure in 1625, his second son became King Charles I. (His oldest son had died at age 18, which made Chalres the new heir to the throne.) Charles' Catholic wife and anti-Puritan behavior upset many, and, as such, the back-and-forth nature of religious persecution sent many to America. As settlers set up their American colonies, a major political and religious conflict began in 1640 in England and lasted for two decades. 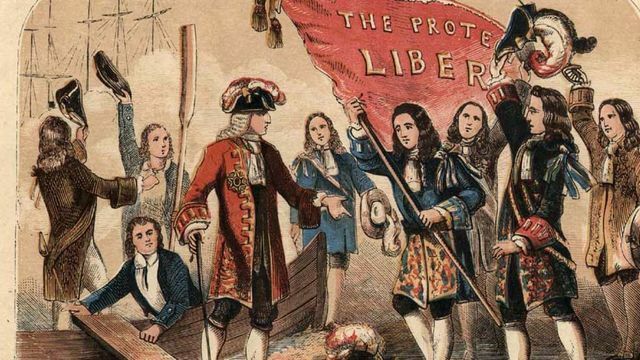 Called the English Revolution (1640-1660), the immediate cause was Charles I's attempt to impose the Anglican liturgy in Scotland. And why not? As king of both countries, you can't blame the guy for trying to keep things the same whether he was worshipping in Scotland or England. Charles summoned Parliament and asked it to raise money to drive back the Scottish. (Parliament had two houses: House of Lords & House of Commons.) 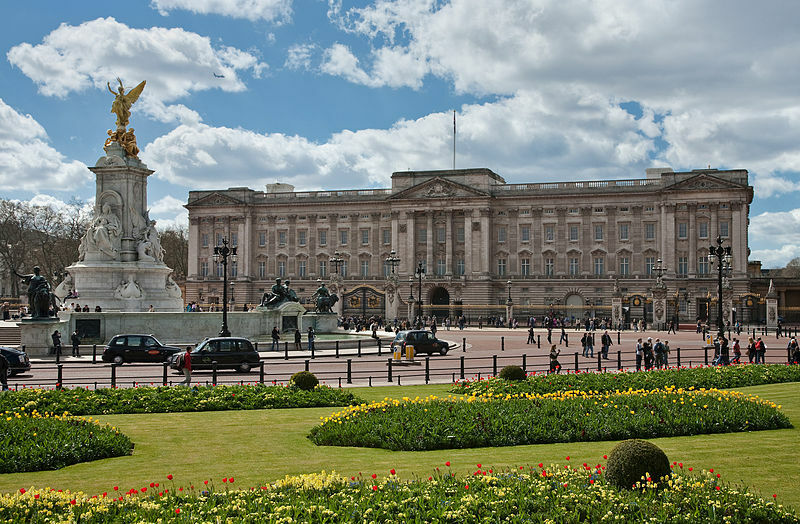 Parliament told Charles if he wanted money, he'd have to give in to reforms they wanted. Charles, basically, told them to stick it where the sun doesn't shine... which resulted in these quarrels becoming an armed conflict in 1642. The nation soon found itself split into two groups. 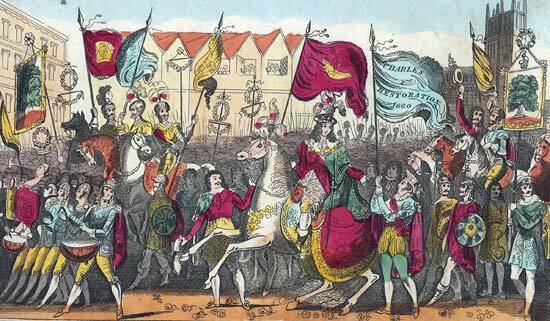 Those who supported King Charles, which included most of the House of Lords, were called the Cavaliers. Those that supported Parliament, which included most of the House of Commons, were called the Roundheads (because they had closely-cropped hair instead of long, curly hair... or because they were in the bathroom when all the cool team names were being picked). The Rump Parliament then abolished the monarchy and the House of Lords... and declared England a Commonwealth. A Commonwealth is when a "commoner" rules. 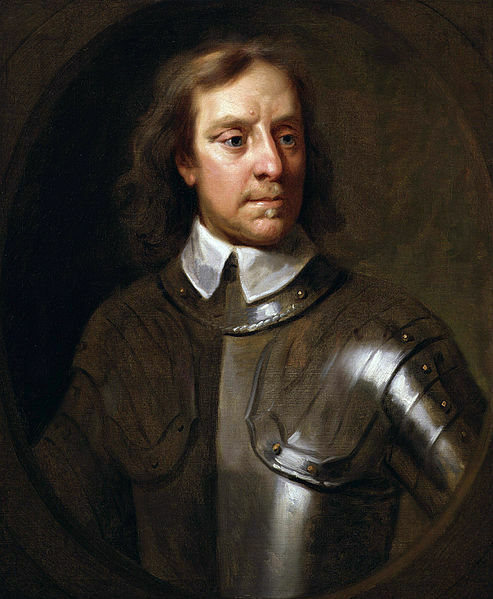 After losing his patience with the Rump, Cromwell dismissed it and accepted the Instrument of Government, England's first written constitution. The document created the Protectorate, which consisted of a Lord Protector and a House of Commons. 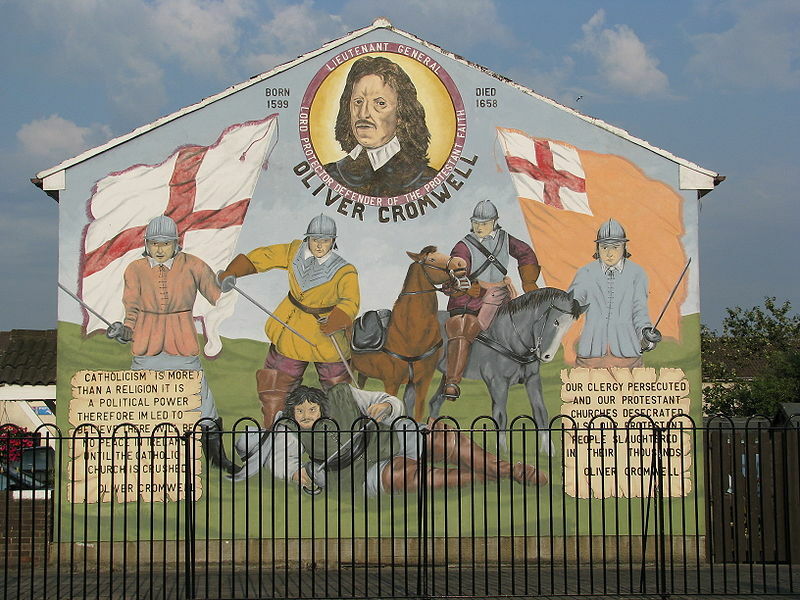 Cromwell became the first commoner to rule and served as Lord Protector. 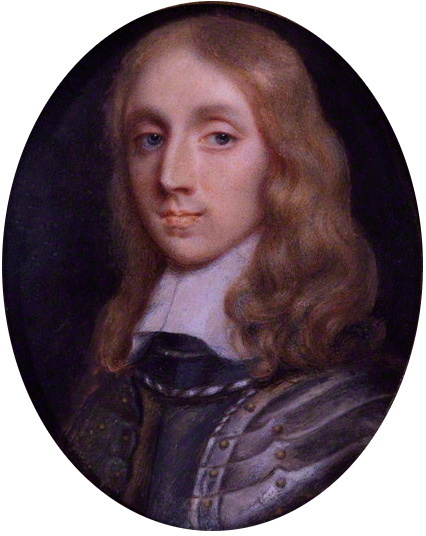 He died in 1658 and his son Richard became Lord Protector. Richard only served for a year before things fell apart... again. 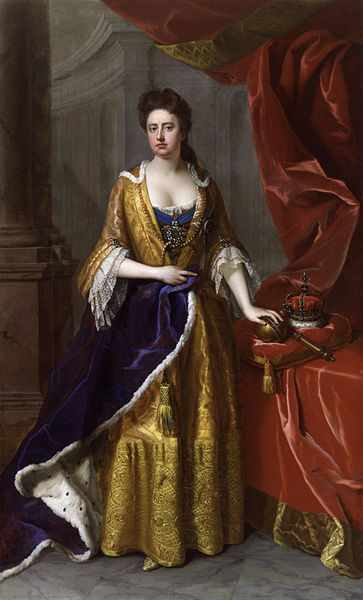 This started the English Restoration (1660-1685) and the "restoring" of the monarchy. Charles and Parliament next went after the Puritans. While he didn't return to Catholicism, he did outlaw many Puritan acts of worship. As a result, more Puritans fled to America. In 1665, England became involved in a war with Holland. The war did not go well, and the Dutch defeated the English. (It had to have been their wooden shoes and windmills. England was too busy laughing at them to fight...) Charles feared that the French might invade next. (One reason for this rivalry centered around religion: England was Protestant; France was Catholic.) 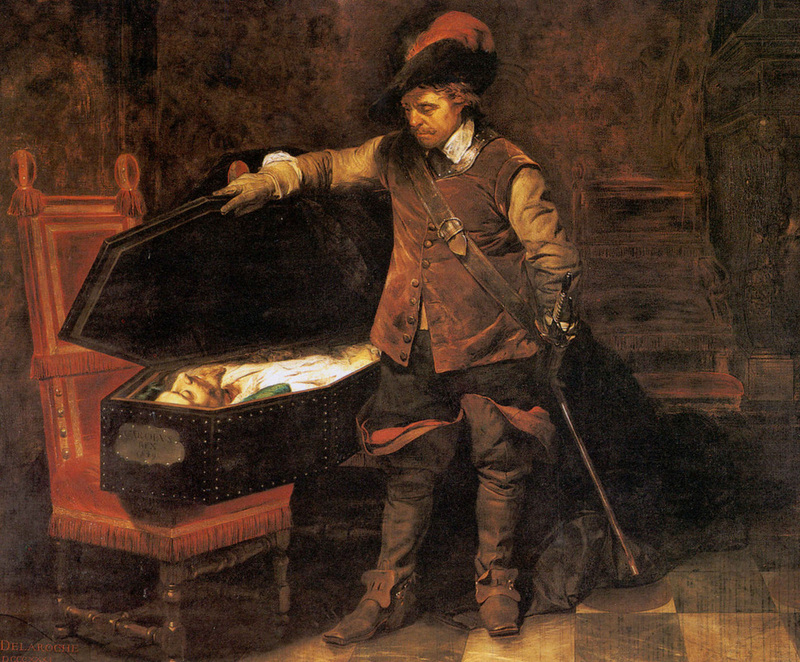 To help avoid this situation, Charles decided to seek out a "secret" treaty with France's King Louis XIV. 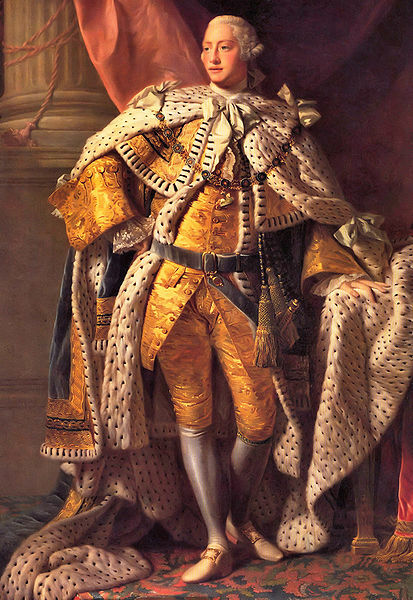 Louis XIV said he would help England... but demanded that Charles become Catholic. Charles agreed... but said he "needed more time" before he told all of England. After all, since Parliament and about 90% of England was Protestant, he continued to keep this secret. But England wasn't dumb. When Charles started acting "nicer" to France and began encouraging the Protestants to stop persecuting Catholics... the people suspected something. Although Charles fathered 14 children... none of them were "legitimate". (Go figure, right?! England finally gets a king that has plenty of kids, but none of them "count"!) This meant his Catholic brother James, would become king. Two political parties formed out of this pending crisis: the Whigs and the Tories. 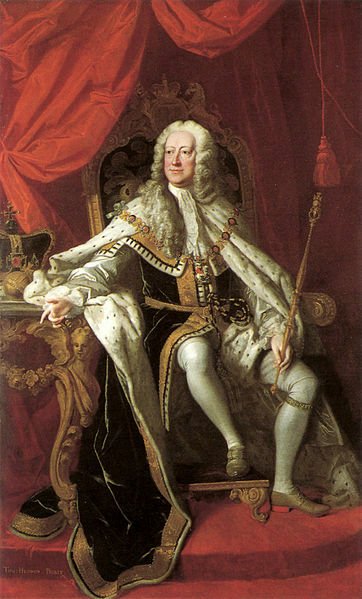 The Whigs favored Parliament, hated the Pope, and urged the exclusion of James from the royal succession. The Tories stood for the rights of the Anglican Church and favored the Monarch. 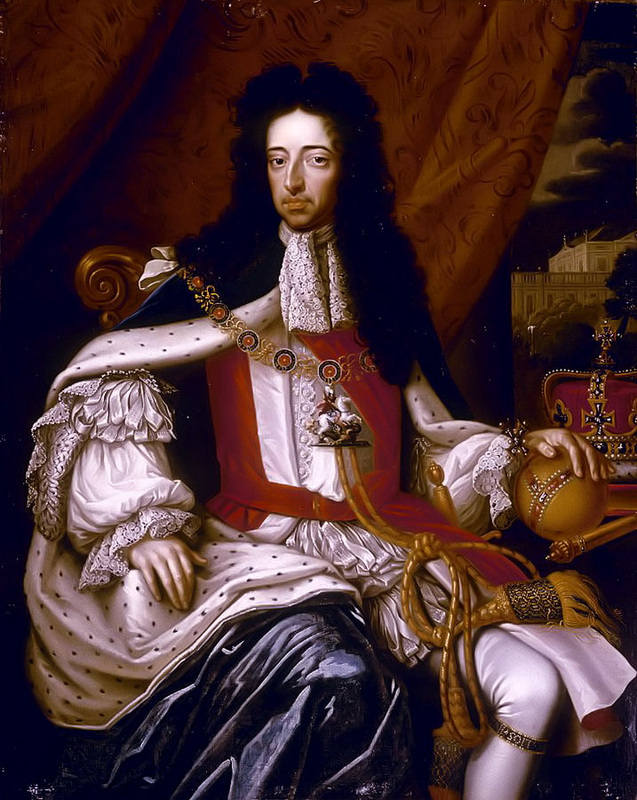 The "born-again" Catholic King Charles II died in 1685 and left the throne to his Catholic brother, James II. 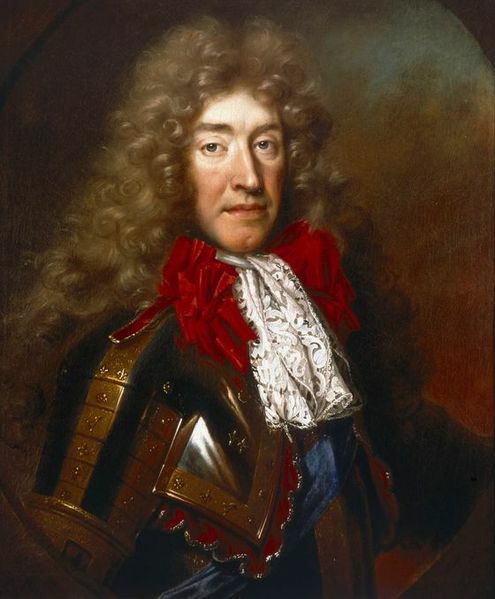 James II(known as James VII in Scotland) would be the last Catholic to ever serve as the monarch of England. 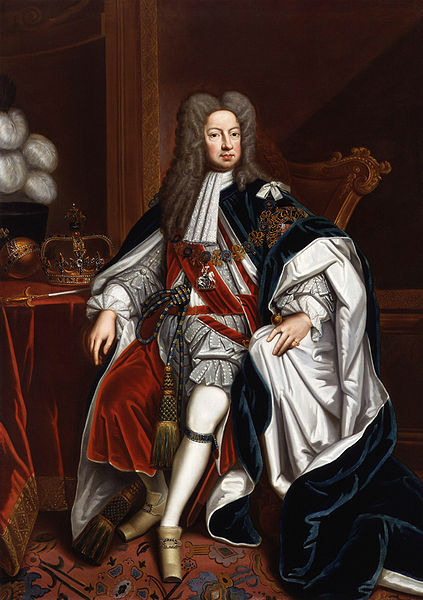 Once king, James Scott (one of Charles' illegitimate sons), claimed he should have been king and attacked. He expected that the Protestants in England would join. England didn't want another Civil War, so he was on his own. This "Pitchfork Rebellion" was crushed and Scott beheaded. To prevent future rebellions since just about anybody could, with enough support, overthrow a government back then, James created a standing army. This made people nervous. Then he put Catholics in charge of many of the regiments. This made people mad. The birth of a Catholic male heir to the throne brought about the threat of a permanent Catholic dynasty. Such a threat united Whigs and Tories in opposition to James. The party was "over" for James. How many of you can sit down and rattle off all of the U.S. Presidents? 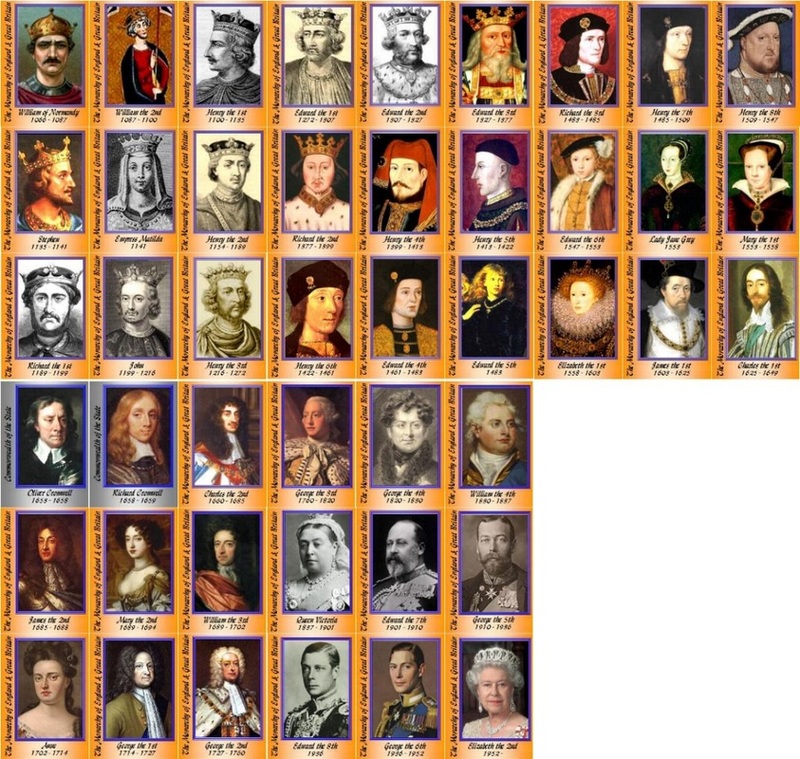 Now imagine if the U.S. never broke away from England... you'd have to know all of the various kings and queens! (And can you imagine having pictures of every monarch in a classroom like you see done with the Presidents?) 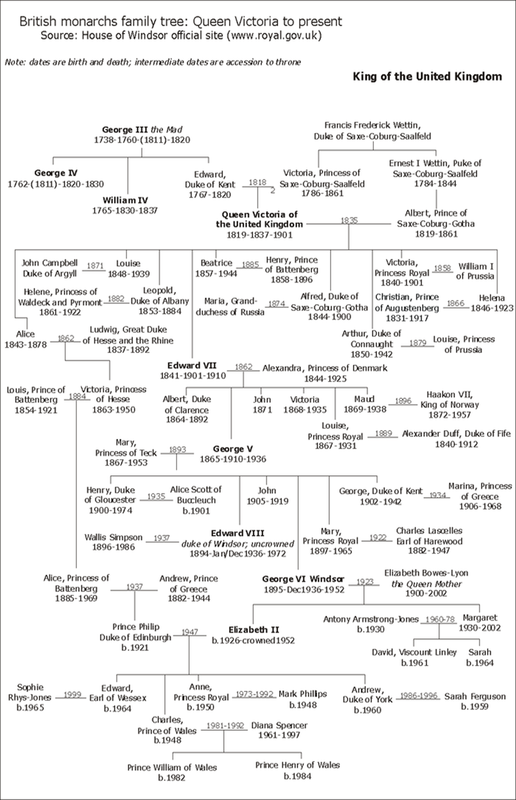 This English Family Tree is organized by the ruling dynasties. Click each picture for a larger version, unless you like squinting. England? Britain? Great Britain? 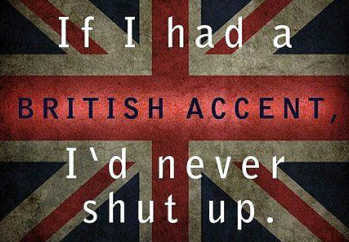 United Kingdom? Make up your mind! Which is which?! People (especially Americans) often confuse the various names for this region of the world. 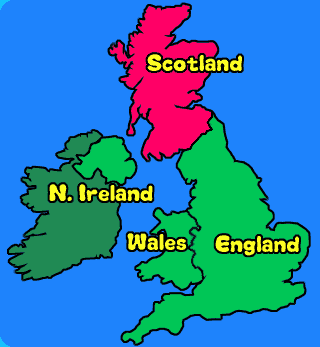 refer to the entire nation is now outdated because the term "Great Britain", properly used, refers only to the island of Great Britain, which includes only England, Scotland, and Wales, but leaves out Northern Ireland. The UK flag, commonly called "The Union Jack" was created by adding the flags of the different countries together, as shown below. The flag of Scotland is called the Cross of St. Andrew (1100). The flag of England is called the Cross of St. George (1277). When England and Scotland united under King James I, they combined the blue background of Scotland's flag and the red cross of England's flag. 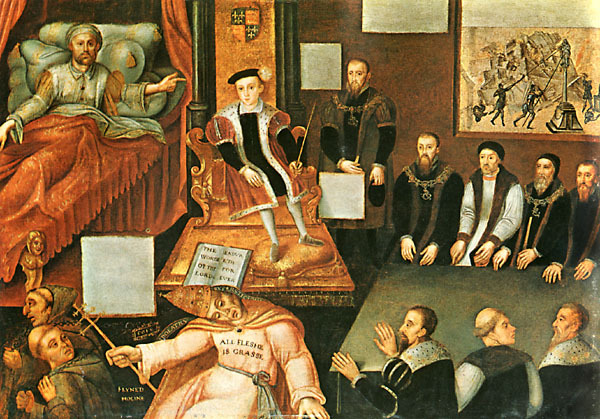 The result was the King's Colors (1606). The Cross of St. Patrick (1783) is highly debated because there is no universally accepted flag for the island of Ireland. When Ireland was added to Great Britain, the 3 different flags were blended to form the Union Jack (1801). Ireland would break away in 1922, but the flag didn't change. use of the word "guy" as a term of general reference for a man. 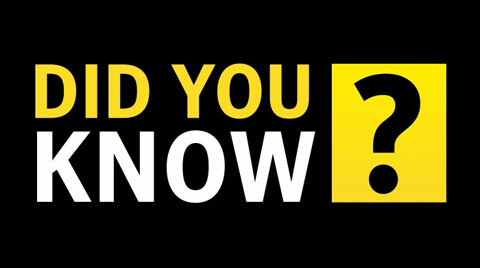 The word "guy"
soon replaced the terms "fellow", "bloke", "chap", and others. Cambridgeshire family and soon the head began to pass through various hands. It was placed in traveling exhibits, and people paid to see the head of the man who had cut off the head of a king. 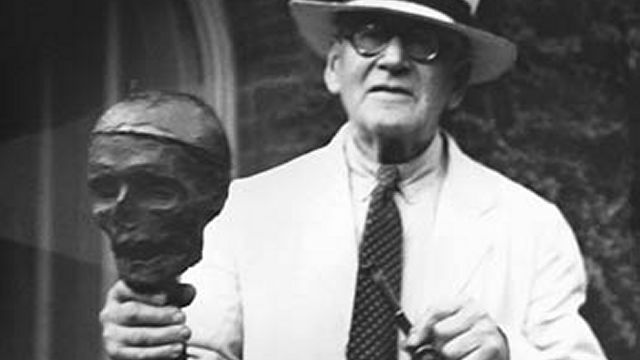 The head ended up being donated to Sidney Sussex College, Cromwell's old college, where it is today. 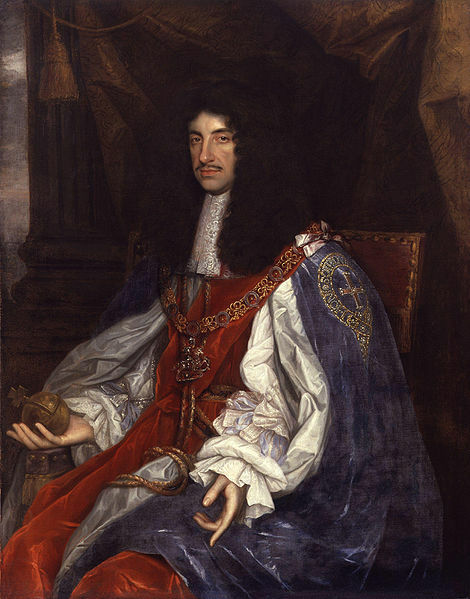 As history shows, King Charles II had 14 illegitimate children with anything that had a heart beat. (Big goose egg... "0" kids with his wife.) 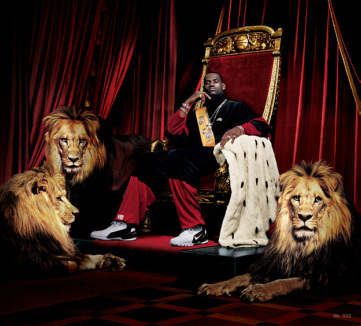 This clearly indicates that His Majesty, well, "got around". Because of his adventures in the sheets, Charles asked the Earl of Condom, a doctor that hung out with the king, to create a product that he could use to protect him from syphilis. (Apparently pregnancies wasn's his concern...) The doctor (did anyone notice his name?) came up with an oiled sheath made from sheep intestine. The new device did not work overly well in preventing disease and additional pregnancies... which is a problem for a condom. What caused the problem? King Charles II reused his condoms. Yeaaaaa... not supposed to do that. from the Latin word condus, which means "receptacle". 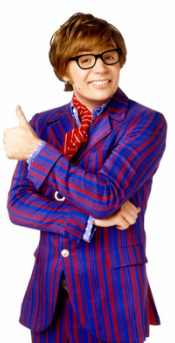 "Never mind those 14 illegitimate kids... 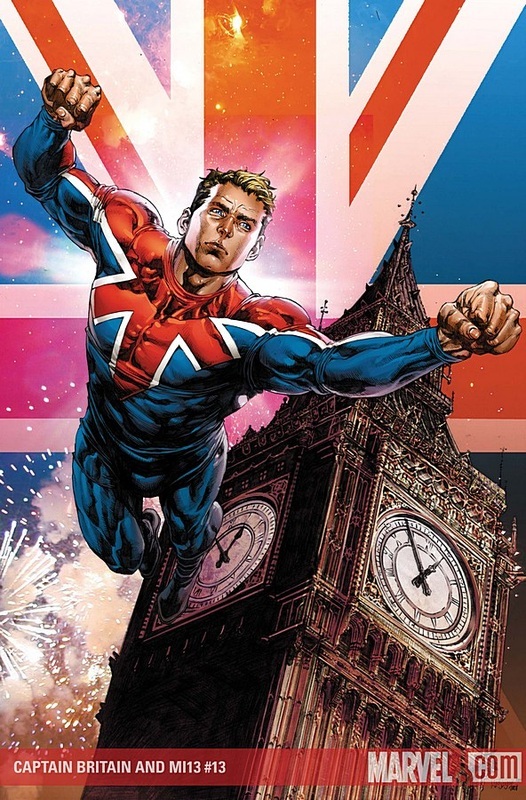 I've got protection this time..."
Captain Britain is a fictional superhero that first appeared on October 13, 1976. He upholds the laws of Britain and got his powers came from the legendary magician Merlyn (of King Arthur lore). 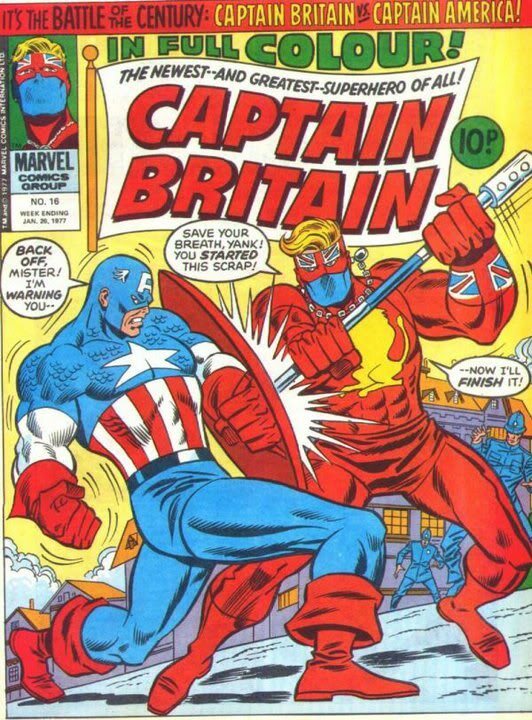 The character was intended to be a British equivalent of Captain America. One thing got in the way of that: he's British. But don't worry... it gets worse... there is a Captain Canada (a.k.a. 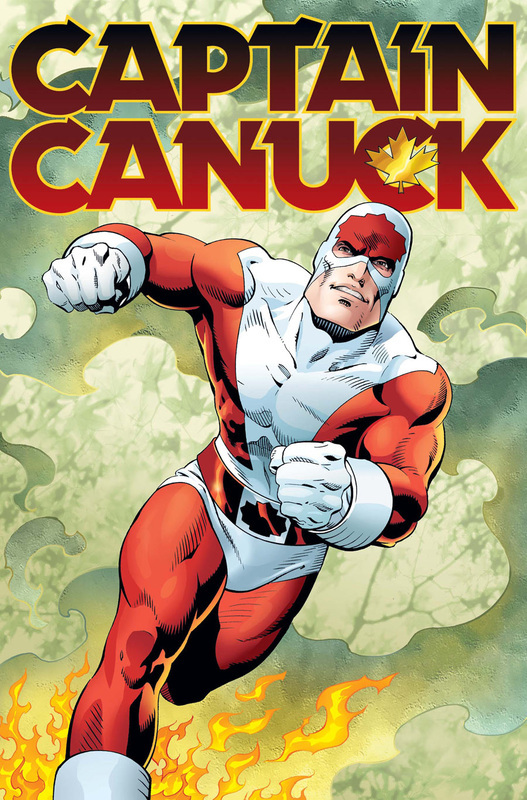 Captain Canuck). Annnnnd that's why I stopped reading comics a long time ago.